A Bald Eagle looks over its shoulder at me - well there were a few of us. 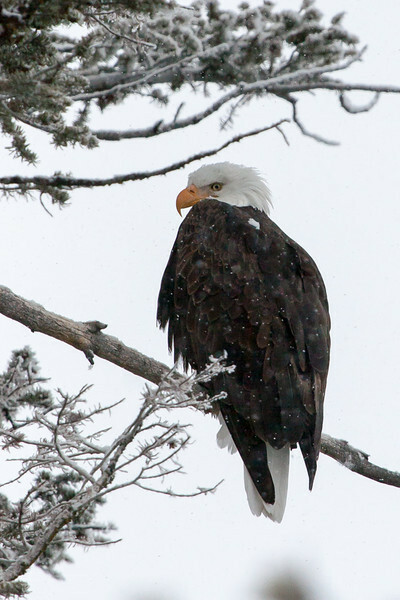 I was on a snowcat tour of Yellowstone Park and we spotted the eagle looking over the Madison River. It was snowing so his wings are flecked in snow.